When I was younger, people considered me a “husky” or “chunky” girl. My diet consisted of high-fat, high-calorie, unhealthful foods and I didn’t exercise or make an effort to control my weight. 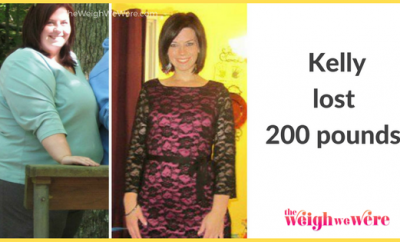 Years later, at my wedding, I wore a size 14 dress and weighed 175 pounds. Two years later, my husband and I decided to start a family, and by that time I had gained 25 pounds. 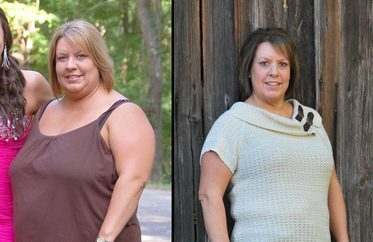 My doctor advised me to lose at least 25 pounds before I attempted to become pregnant. At age 24, that was the motivation I needed to make changes in my life. I cut out fried foods, whole milk and mayonnaise and followed a low-fat diet. To satisfy my sweet tooth, I turned to low-fat cookies and cakes and monitored my portion sizes. Once a week, I treated myself to my favorite meal so I wouldn’t feel deprived. I also started exercising regularly for the first time in my life. With the help of a co-worker who was a runner, I started a walking routine during my 30-minute lunch break. On the first day, I could hardly walk half a mile without gasping for breath. My form was terrible – I could barely walk upright and maintain an effective pace. But with the encouragement and support of my co-worker, I kept exercising and increased my distance each day. 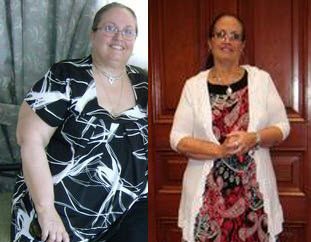 In six months I lost 40 pounds as a result of exercise and healthful eating habits. Unfortunately, as I reached my fitness goals, my marriage began to crumble. My husband and I grew apart and divorced before we could start the family I had always dreamed of. 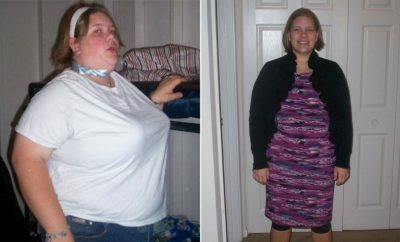 The anxiety of the separation caused me to lose my appetite and another 30 pounds. I eventually got down to 130 pounds, but I looked unhealthy since I didn’t have any muscle tone. Six months later, I started to heal the pain of my divorce and decided to become healthy, both emotionally and physically. I joined a gym and started weight training, which helped me add muscle to my bones. I eventually gained back 20 of the 30 pounds I had lost, but this time much of it was in the form of muscle. About a year ago, I started rock climbing to shake up my routine and challenge myself. After losing weight, I realized that there is nothing I can’t accomplish, as long as I have a positive outlook. I’m now at 150 pounds and my body is much firmer and stronger than ever before. Emotionally, exercise helped repair my self-esteem and made me feel better about myself. I’m now engaged to a wonderful man who understands what I’ve been through, supports me and is proud of my achievements. My next goal is to become a certified fitness instructor and help others become fit and healthy. I know what others are going through and I want to inspire them to reach their fitness goals. Next Story → Flab to fab!